Curt was born and raised in New Orleans. He graduated from Louisiana State University with B.S in Psychology. He earned his Physical Therapy degree from Louisiana State University Health Center in Shreveport. He has worked in a variety of settings throughout his career, including UCLA Outpatient Rehab, private practice sports clinics, and in-patient/out-patient hospital settings. 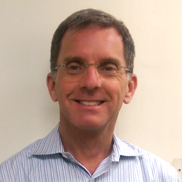 Curt received his certificate in Integrative Manual Therapy in 2009, and continues to take additional courses. He speaks some Spanish. In his spare time, Curt enjoys working out at the gym, engaging in neighborhood historic preservation projects, and being an active member of the Los Angeles Conservancy.